Getting ranked for top keywords on Google is tough. But you could use some Google recommended methods to let search engine giants like Google know, you are there. In this article, we will discuss some methods which helps Google and other search engines sit back and crawl (notice) your website frequently. Content is the King. Search engines love websites which are updated regularly with fresh and quality content. Blogging could be used for this. Read here Why blogging is important. As name implies, Google webmaster tools is a free service from Google which helps webmasters for analyzing and optimizing websites for Google (and for other search engines). By setting up your website on Google Webmaster tools, you are submitting your website on Google too. GWT is a powerful tool for analyzing backlinks to your website. MyBusiness helps you to get verified your business and improves visibility in relevant geographic search results and maps. Maintain your Google + profile and pages actively. Posting website or blog post links on Google + pages or profiles could help them index on Google easily - Another way for submitting your links for Google bot. 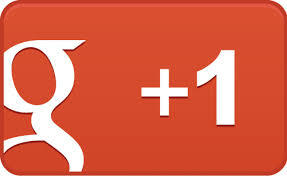 Gain more and more Google +1s. Because, Google "plus one" (+1) can act as votes for your website. You could do this by adding social share buttons and +1 buttons on all pages of your website. The count of +1s shows how much people recommended your website. There are many services which offers free social share button codes. Just Google! Ensure that all pages of your website contains accurate and relevant title tag and meta description. All pages associated with your website should contain unique, accurate and relevant title tags and meta description. Did you know, How Google shows images for searched keywords? the truth is that, Google or any other computer program is not able to read the content of the image files thoroughly. What plays behind Google image search results is, Alt tags and meta tags of the image. So choosing right alt and title tags for images on your website could helps to make some traffic and rank improvements on search results. As Google Mobilegeddon algorithm update is out, Websites should be mobile friendly and responsive for better ranking on Google search results. Google introduced this update mainly because of the internet users from smart phones are much more than PC users.